Do not use abrasive or acid-based cleaners when cleaning your Cardinal Shower Enclosure. There are some powerful cleaners on the market today. 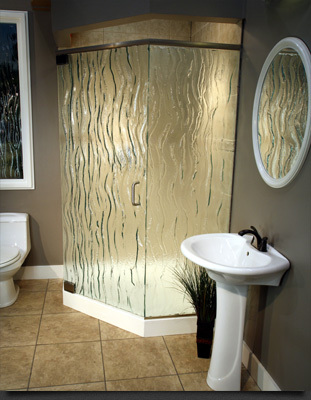 Abrasive or acid-based cleaners can scar the metal or glass of your Cardinal Shower Enclosure. It probably wouldn't happen with a single application, but it's best to use appropriate types of cleaners all the time. After each use a simple swipe of a squeegee will help maintain that brand new look. The glass needs to be cleaned every few weeks using a damp microfiber cloth and a mild detergent or soap to remove soap scum and grime from the glass. For areas with hard water, due to a higher concentrate of mineral deposits such as lime and calcium, a build up may occur on the protective coating and not be easily removed with a mild detergent. A solution of white vinegar and water (1 part vinegar to 5 parts water), will need to be used occasionally to dissolve these deposits.